It probably comes as no surprise that health care fraud against the government is high. And, as the health care sector itself has grown, the fraudulent behavior has followed in its footsteps. Health care fraud can take a variety of forms, including billing for services not rendered, upcoding, or lack of medical necessity. Some pharmaceutical companies and medical device manufacturers engage in fraudulent behavior by promoting and marketing drugs and/or medical devices that have not been approved for usage by the FDA. Another popular type of fraud that falls under the health care category is kickbacks. Kickbacks are arrangements between healthcare providers and doctors or hospitals. Kickbacks are almost always illegal as doctors should be deciding what course of treatment is best for their patient, not based on which providers will pay them a commission for sending the patient there. Another popular area of fraud where whistleblowers play an important role is related to taxes and the IRS. People who earn a lot of money tend to engage in tax evasion in hopes of shirking financial obligations to the IRS. Defense contracts are also magnets for fraudulent behavior. In some cases, defense contractors breach their contracts by selling substandard or defective parts. Whistleblowers play an important role here in uncovering some of the fraudulent acts that occur with government contractors. The government can also award contracts to private corporations for non-defense projects as well. These may be when they need to have a road or bridge built. 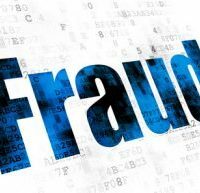 Fraud here may be through overcharging for products, substituting cheaper parts, shifting costs from one project to another, or illegal kickbacks. Securities fraud is a high-profile area that involves the SEC. It usually involves stock or commodities offered under deceptive circumstances for the purpose of getting people to invest, which typically results in major losses for them. Securities fraud can also involve theft from the investors, like stock manipulation, embezzlement, and more. Other financial sectors are prone to fraud as well. There is an overlap in some cases with SEC fraud, like for insider trading. But other financial fraud can include mortgage lenders, government bailout funds, pensions, and more. And, if a mortgage lender or company knowingly provides false information to the FHA, it can be held liable as well. Sadly, disaster relief is another area that has to contend with fraud. After a large disaster hits, the government spends money for immediate relief efforts and long-term assistance. Unfortunately, phantom victims and inflated renovation costs are two of the ways disaster relief fraud can occur. If you suspect fraud against the government in one of the above sectors, or something else, it’s important you retain a Florida whistleblower attorney right away. Qui tam lawsuits are complex, and it’s critical to follow the exact steps or you may not qualify as a whistleblower. Contact the attorneys at McCabe Rabin PA. We have experience in whistleblower cases and have had great success with these actions over the years. Contact us today to schedule a consultation and let us help you navigate the challenges of a qui tam lawsuit.